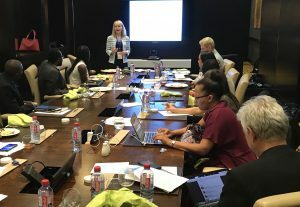 Launched at UNESCO’s research conference on the safety of journalists during the World Press Freedom Day celebrations in Helsinki in 2016, the aim of the Journalism Safety Research Network (JSRN) is to advance academic research communication and collaboration in the area of journalism safety. 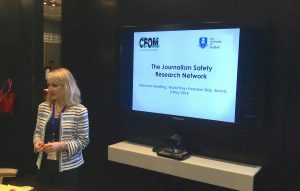 Hosted by the Centre for Freedom of the Media (CFOM), at the University of Sheffield, the JSRN brings together researchers with a common interest, concern or engagement with the safety of journalists, the issue of impunity and the promotion of free and independent journalism. 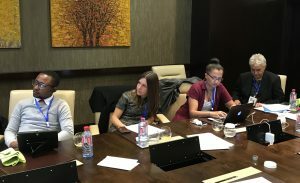 As members of the network we believe in journalism in all its forms that is accountable and carried out with respect for accuracy, honesty and professional ethics, and in the development of trustworthy, independent and free media, which enable people to make informed choices about their lives and the world around them, and to participate fully in civil and political life. 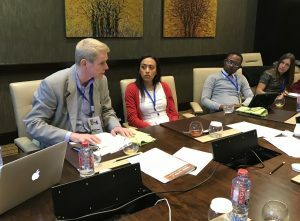 The JSRN is a global network of 180 researchers who work at universities, research centres and civil society organisations in countries including Australia, Costa Rica, Egypt, Finland, Germany, Nigeria, Norway, South Africa, the United Kingdom and the United States have joined the JSRN. Sign up here to join us! 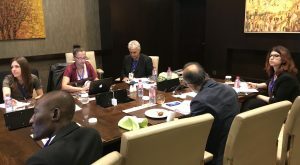 NETWORK MEETING, WPDF, ACCRA, GHANA, 2018.